New Delhi, January 17, 2018: Global leader for South-Asian content, YuppTV powers Aastha Group’s TV Channels (Aastha, Aastha Bhajan, Vedic & Arihant) voyage into the world of OTT. 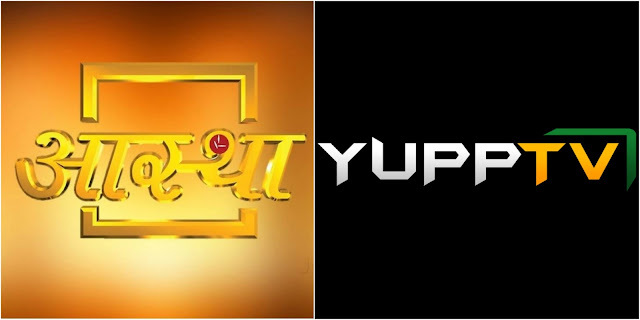 Aastha, the pioneer spiritual and cultural brand will be utilizing YuppTV’s white-labelled video platform to be present across the digital world of web, mobile, and connected TVs. Aastha mobile app was launched today by Param Pujya Swami Ramdev Ji Maharaj and Shraddhey Shree Acharya Bal Krishan Ji. On this occasion, Swami Ji stated that it's the beginning of a new era in the journey of of Aastha the leading Indian Channel on spirituality and natural wellness through Yoga and Ayurveda. “Aastha” App would bring people across the world closer to Indian spirituality and meditation. Now, one can watch their favorite programs of previous nine days on “Aastha” Mobile App. anytime anywhere, as per their convenience. Extending the words of Swami Ramdev Ji, Shraddhey Balkrishan Ji said that the “Aastha” Mobile app would play a huge role in connecting the younger generation across India and the world with the Indian spiritual value-based system and help them enrich their lives spiritually, mentally and physically. Streaming Live and VOD content for over ten years, to audiences across the globe, YuppTV White-Labelled OTT Platform provides robust and scalable Multiscreen Live and VOD Streaming Solutions to Video Broadcasters, creators, aggregators who are looking for their own branded OTT apps and websites. With more than 2 billion minutes in a month that are currently streamed through the platform, customers have a proven platform to rely on. Through YuppTV White Labelled OTT Platform, customers can have their apps on any internet enabled devices such as Android, iOS, Web, Roku, Samsung Tizen, AppleTV, LG WebOS, Fire TV, Android TV etc. Some of the modules and features of YuppTV White Labelled OTT Platform include a Robust Video CMS and SMS, Live and Catch-up TV with EPG, Advanced Video Analytics, Billing and Payment Gateway, Dynamic Ad Insertion for Linear Channels, Multi-Bitrate Encoding and Transcoding for both Live and VOD, Web, Mobile and TV Apps etc. YuppTV is one of the world’s largest internet-based TV and On-demand service provider for South Asian content, offering more than 200 TV channels and 2000+ movies in India. YuppTV recently received funding from Emerald Media, a Pan-Asian platform established by leading global investment firm KKR for investing in the media and entertainment sector, wherein Emerald Media acquired a significant minority stake in the company for US$50mn. YuppTV had earlier raised its Series A round of funding from Poarch Creek Indian Tribe of Alabama.